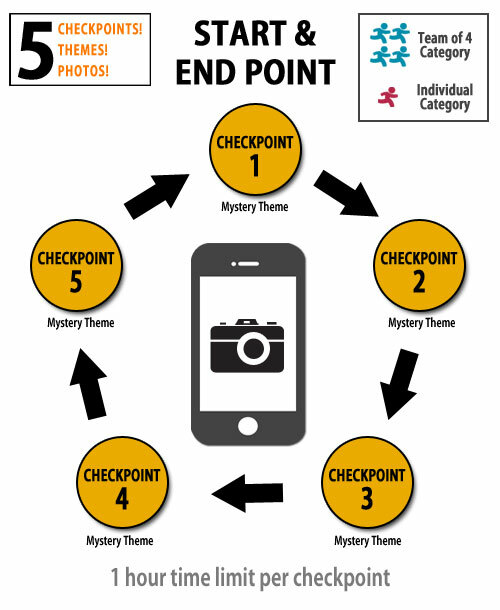 SAFRA Mobile Snapathon 2013 is here! This contest was like a wish come true for me, and here I am, calling out to all selfies, iPhonographers or even photographers! Here’s a chance to have fun, take photos and win prizes! 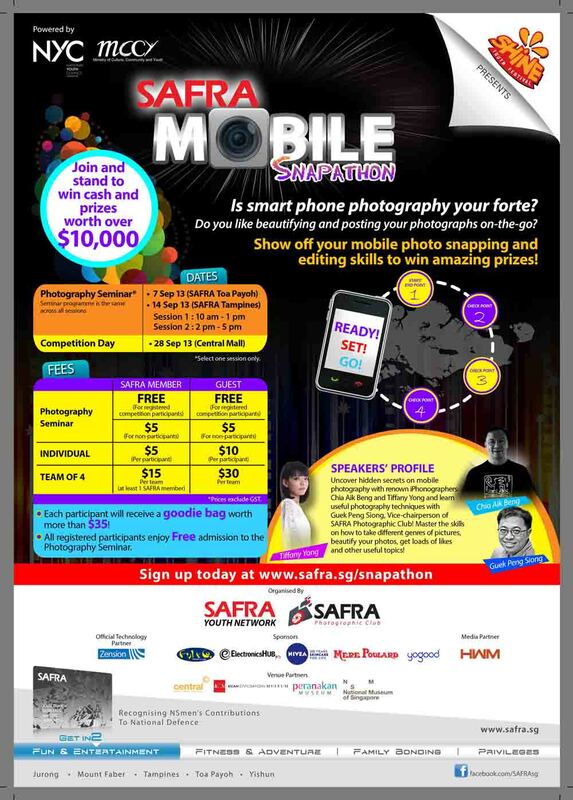 SAFRA has launch the SAFRA Mobile Snapathon 2013, a unique mobile photography competition where participants stand a chance to win exciting prizes worth up to $10,000! For more information about the competition, visit the Safra Mobile Snapathon website! For SAFRA members, it cost $5 per person (individual) and $15 per team (of 4 members). For non-SAFRA members, it cost $10 per person (individual) and $30 per team (of 4 members). Participants will receive a Goodie Bag worth over $35! Registration ends on 31st August 2013. Besides all the fun, all participants will get free passes to an exclusive photography seminar held on 7th and 14th September 2013. 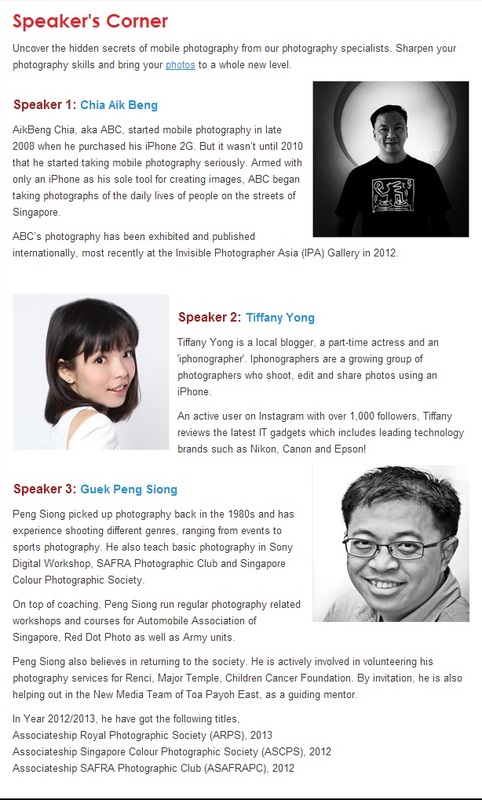 Together with locally acclaimed street photographer, Mr Chia Aik Beng and photography expert Mr Guek Peng Siong, I will be there giving a talk and share some of my Instagram user experience and techniques! I was really surprised when SAFRA invited me to be one of their speakers (I guess they found out that I was an instagram addict). Although this isn’t my first ever talk, but it’s my first time standing in front of the audience as a blogger. This will definitely be fun interacting with all the participants!